Maia, Lottie, Sita and Ionie are Star Friends - alongside their Star Animals they are able to use magic for good and stop the forces of dark magic. Do you believe in magic? Maia and her friends do! And when they meet the Star Animals, a whole world of magical adventure unfolds. 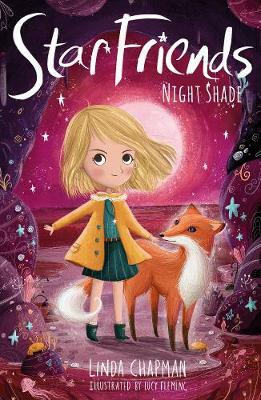 Lottie and her star animal, a squirrel called Juniper, must use their special powers to stop the forces of dark magic. Ever since Maia and her friends stopped Auntie Mabel from using dark magic to cause trouble in the small seaside village of Westcombe, life has been peaceful for the girls and their Star Animals. But it seems that peace was only temporary and the girls are going to have to use all their Star Magic skills to battle against the latest threat... Perfect for fans of My Secret Unicorn and The Rescue Princesses, and for Rainbow Magic readers looking to move on to a more challenging adventure.